Huge Savings Item! 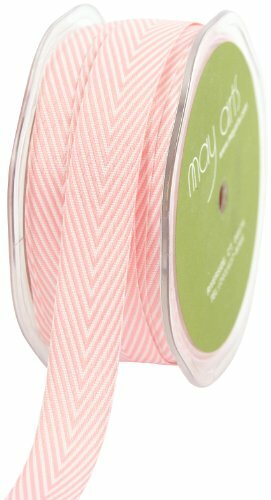 Save 19% on the May Arts 3/4-Inch Wide Ribbon, Pink Twill with Chevron Stripes by May Arts at Designers Artists. MPN: 382-34-17. Hurry! Limited time offer. Offer valid only while supplies last. This 3/4-inch wide by 30-yard roll of pink twill ribbon with chevron stripes is ideal for a variety of sewing, home decor and crafts projects. This 3/4-inch wide by 30-yard roll of pink twill ribbon with chevron stripes is ideal for a variety of sewing, home decor and crafts projects. Perfect for scrapbooking. Available in a variety of fashion colors.